Our motto - Bouillon Herkules - Kwaliteitsbouillon en -kruiden. A delicious stock prepared with natural ingredients. 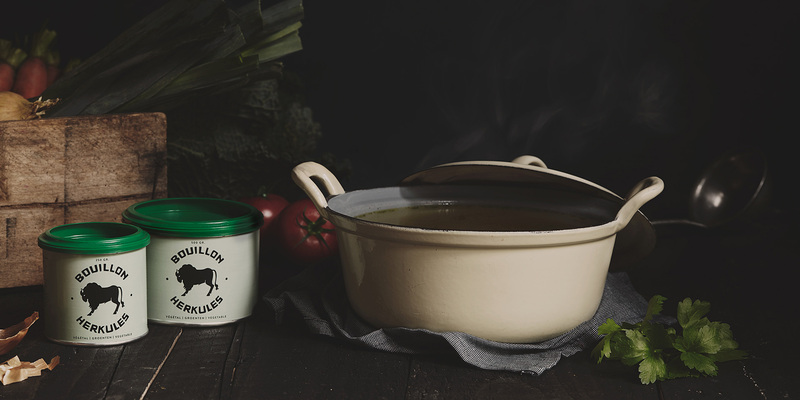 Bouillon Herkules is a high-quality stock that owes its intense flavour to a family recipe dating back to 1944, and which is carefully prepared by our expert team in Switzerland. This flavour enhancer is also the safest and tastiest choice for a gluten-free diet. It contains only natural ingredients, is free from preservatives or colourings, and is entirely allergen-free. A few years ago, this much-loved flavour enhancer was at risk of disappearing. 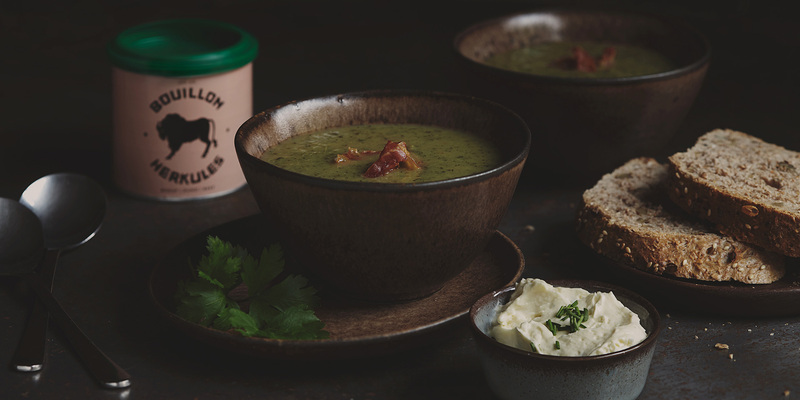 We decided to breathe new life into Bouillon Herkules, and today we are proud to be the exclusive distributors of this delicious kitchen staple. We are truly convinced of our product’s quality and integrity. Our aim? To share the pleasure of drinking stock – a genuine tradition for us – with you. Enjoy! Looking for inspiration? Check out our recipes here! Wednesday from 6 p.m. to 8 p.m.
Don’t hesitate to contact us for our wholesale conditions and/or prices!